Pop-country has become a genre where a solo artist can’t simply release a non-top 40 pop-country record without having to differentiate themselves from the fluff. 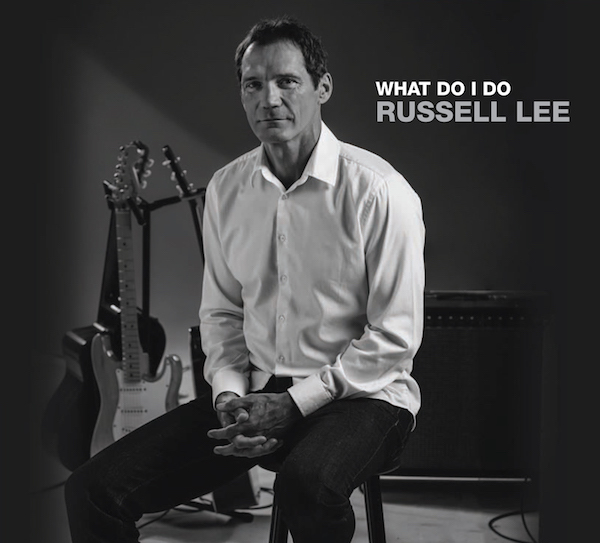 Funny as it may sound, on Russell Lee’s new record What Do I Do he answers the question by differentiating himself with classically influenced pop-country with hints of Blue Rodeo, James Taylor and even taking nods from The Kinks. It’s a slow build but eventually “Picture” changes from an initially generic sounding country track to a deeply layered and emotive single. When it reaches its chorus the swell of instruments starts, with each section becoming more intricate and interesting. The slower “Piece Of This Earth” follows a similar pattern, but unfortunately it’s verses don’t gain the same momentum as “Picture.” The softer sound of the track works against Lee here as well with the softer singing resulting in shaky vocals at the end of many lines of the song. “What Do I Do” picks up the pace noticeably with a much stronger groove and a lot more passion from Lee’s vocals. Despite dynamic stops, and a solo the track is a little short on variety, but even with that the track is one of more exciting of the record. The intro to “Never Know Your Name” mixes sounds of the Kinks’ “Powerman” and David Bowie’s “The Width Of A Circle” before dissolving into a dark but misleadingly simple blues-driven track. The drums come to the forefront here, with the harp getting lost behind the synth sounds. Lee has another intriguing intro on “High and Low” before falling into the fast paced guitar and harmonies that drive the track. By this track the pattern of catchy choruses underwhelming choruses is becoming problematic. Despite this the composition and sound driven out in the song’s powerful choruses are worth the wait. There’s a sense of fun to “Heartache” with pounding drums and bouncy melody that makes it a feel-good dance track despite being very simple. Strings and a light guitar take the wheel on “If You Could Read My Mind” for a moody and sparse sounding ballad. While its variety comes in its sound to the record the track is one of the most emotionally stirring on the record. “Only One For Me” tries a more rock approach to this emotive sound but really only hits this on its solo, as a great drums and bass section’s prominence in the mix make the song more of a jam. There’s an ethereal 70’s pop sound to the country groove of “Different Time” sounding like a pop-infused James Taylor. This more unique sound is shed for the classic rock sound of “Find Myself” which feels closer to cliché in its older sound here. Despite a good effort on his rendition of “Amazing Grace” for a strong acoustic track, Lee has already done this without a cover. Lee does however close the album strong on “Goodbye” with a strongly written track both lyrically and musically, despite a few overdone notes here and there.